Zig Clean Colour Real Brush pens are perfect for quick illustrating, sketching, blending, designing and cartooning. 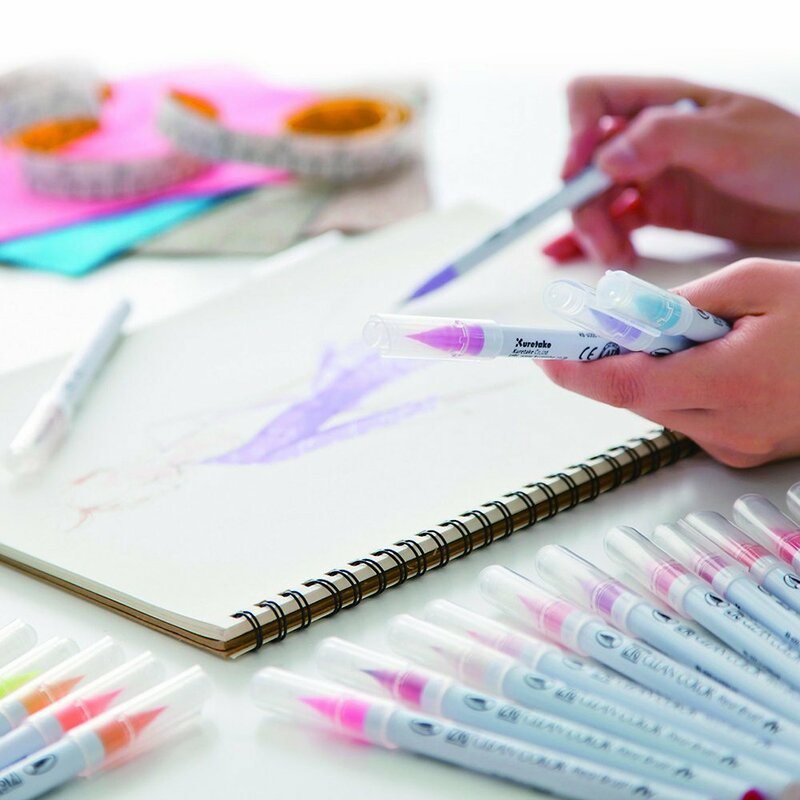 Their soft brush tips make easy to create both narrow and wide lines and built-in ink supplies combine the convenience of a regular marker with the artistic versatility of a brush. 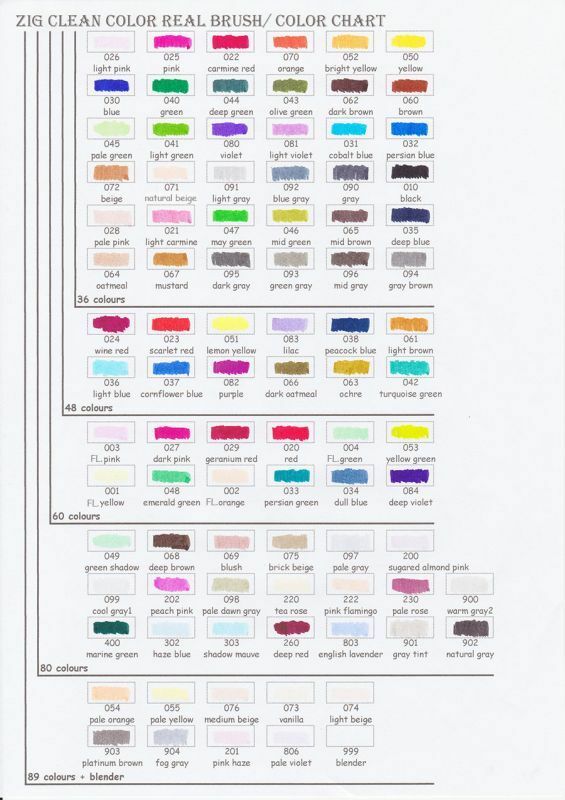 Water-based, dye-based ink can be colour gradation effects. 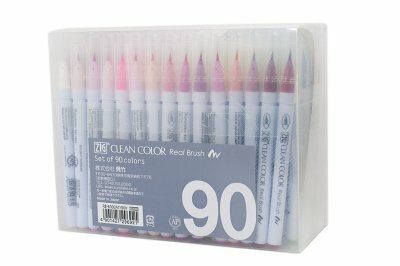 Suitable for brush pen beginner but also great for professional illustrating! 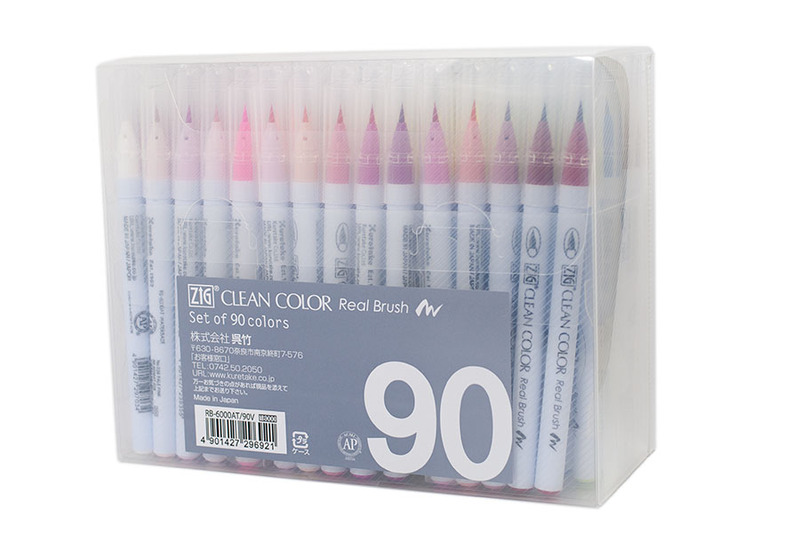 This is the package contains 89 colours and one blender pen. 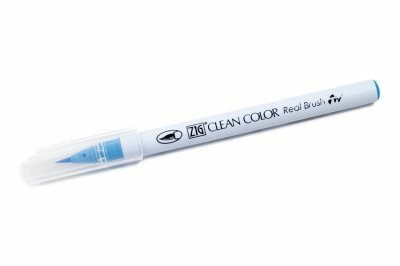 The blender pen is perfect to mix the colour or blur or make gradations. 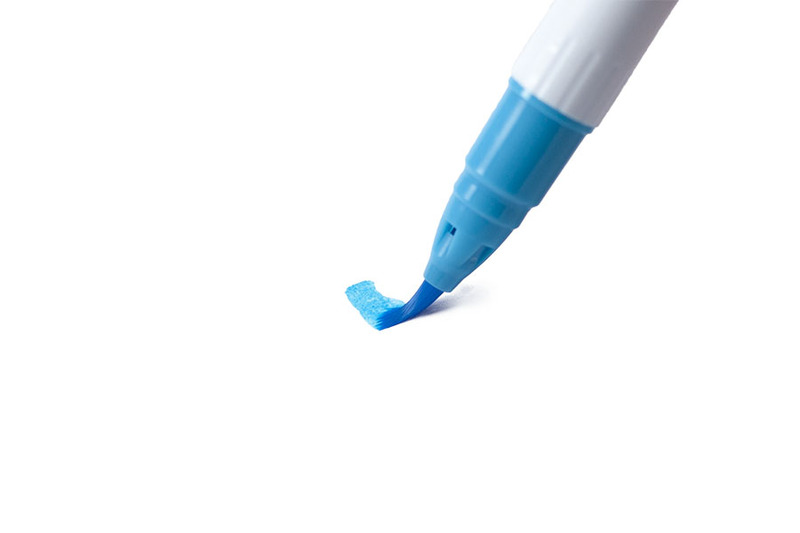 It makes it easy to create both narrow and wide lines with the flexible fine brush tip. Filled with xylene free, an odorless, water-based dye ink. Great for illustrating, sketching, colouring in, and detail work. Gently wipe brush tip colour out with the disused paper to clean the pen tip. Also, the water brush pen works excellent with ZIG real brush. 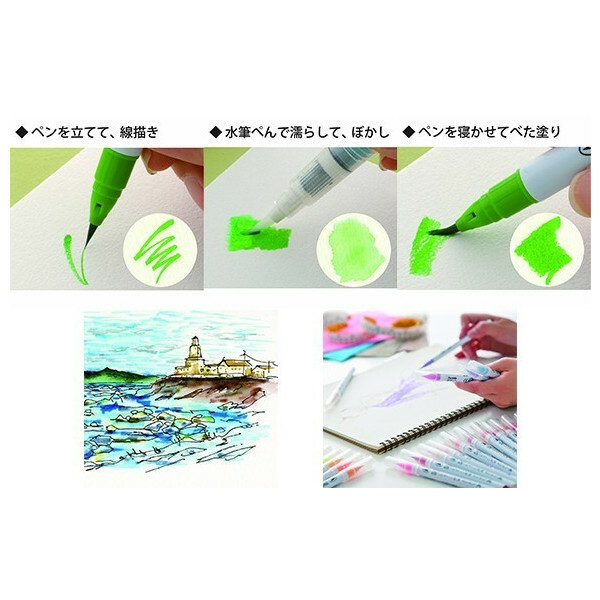 It is easy to control the water amount by squeeze the pen barrel, and this means easy to blur the colour like watercolour paint. All you need to do is fill the water in the pen barrel.